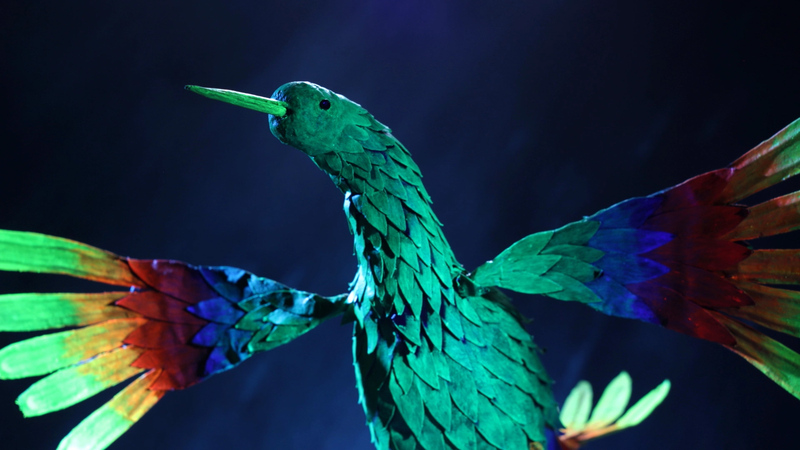 Bird puppet for Sparks music video ‘Edith Piaf said it better than me’, directed by Joseph Wallace. The puppet was designed by Joseph. 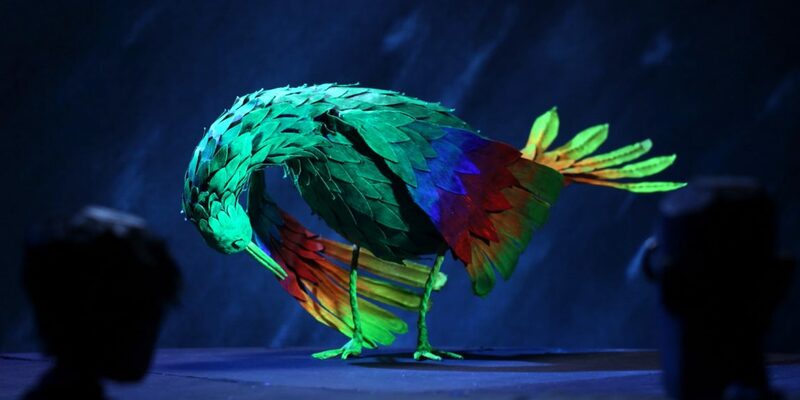 I built the armature and most of the body covered in feathers, where Joseph worked on the final colours, beak and head details. 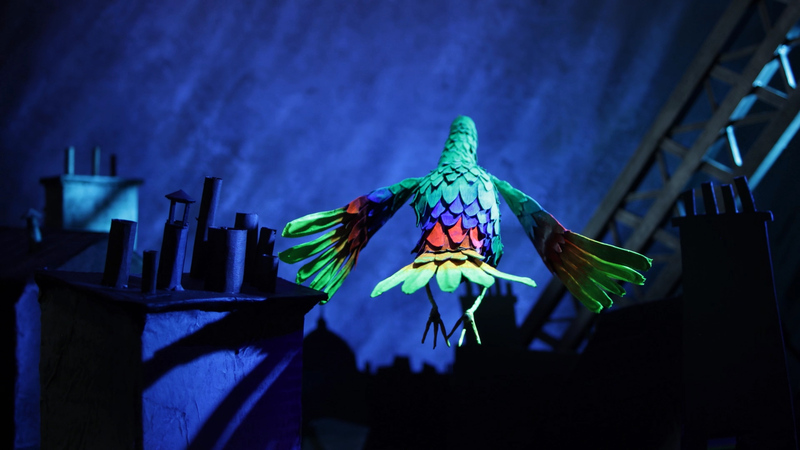 The bird puppet has an armature of aluminium wire, small tie downs in the feet and blue foam core pieces with fitted K&S for rigging points. 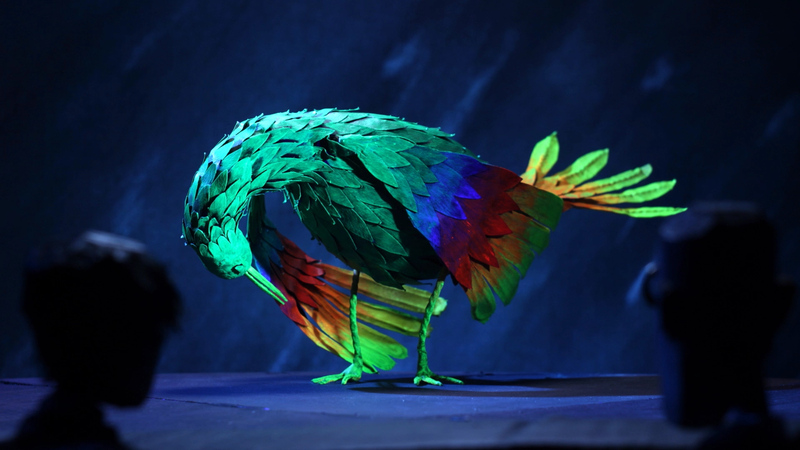 The body was covered in feathers all cut out from painted paper on blackwrap, and finally painted in Neon paint for the glow effect under UV light in the final shoot. The wings and legs can be detached through K&S fittings. 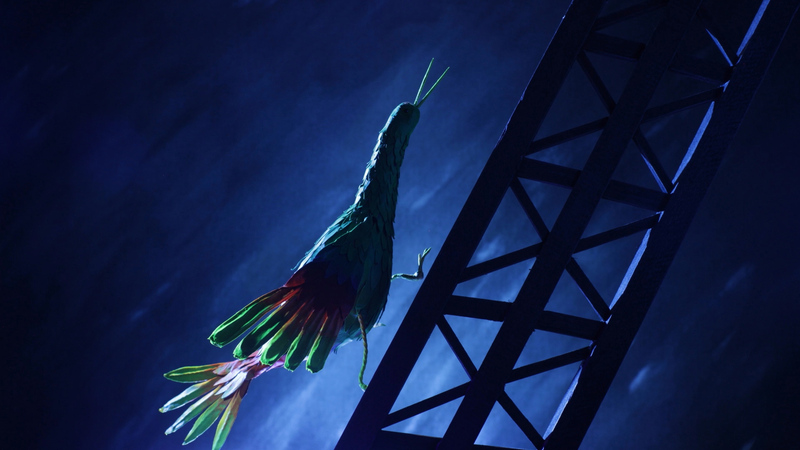 The bird’s rigging points are in the body core part, with rigging options on four sides of the body. I also built the ball and socket rig to fit the K&S rigging points, with two double joints and a heavy steel base plate. See the image gallery below for more pictures and details of the making process. 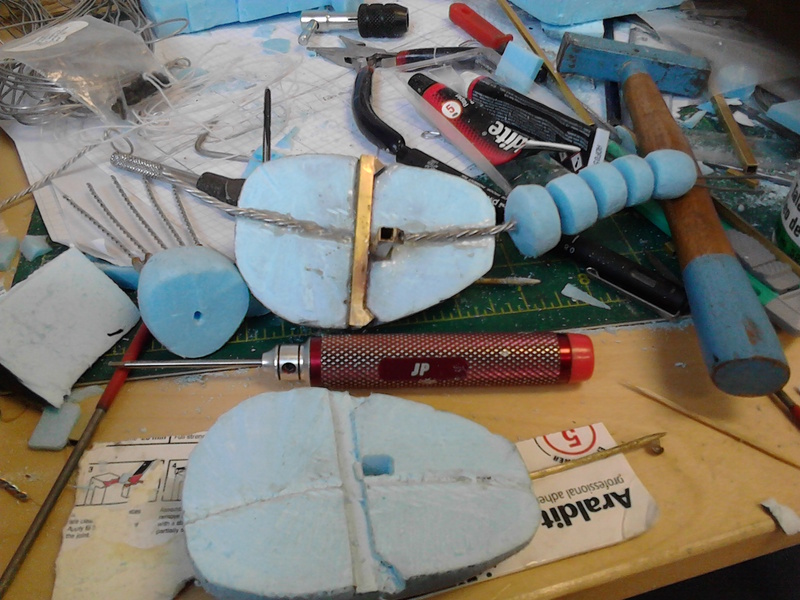 The bird armature in progress, showing the two halfs of the body core with K&S for rigging points inside. 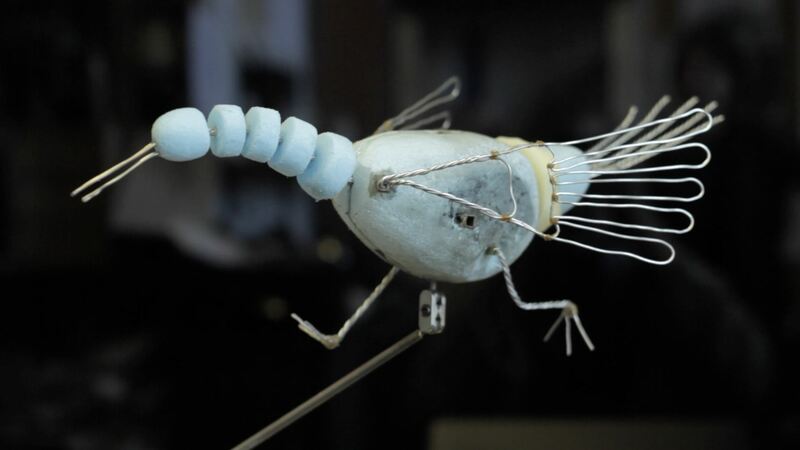 The finished armature inside the bird. Aluminium wire, K&S tubing and blue foam. 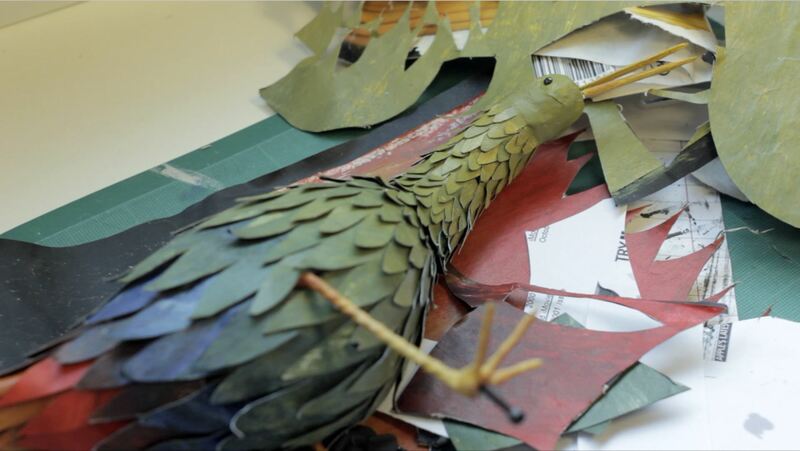 Applying the primary wing and tail feathers. 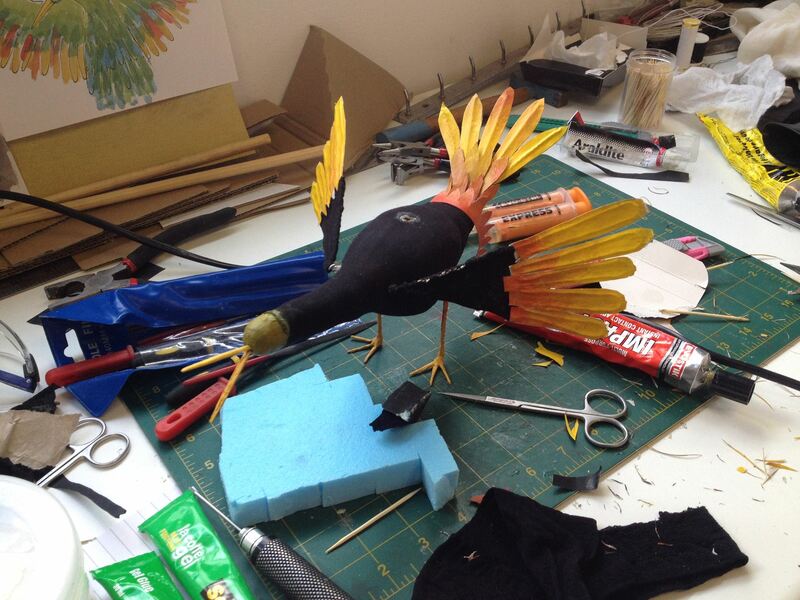 The bird nearly finished, before the final coat of neon paint.